Persona 5's Joker was announced to be the second DLC character for Super Smash Bros. Ultimate just four months ago, but we still have to see what he'll play like transitioning from a RPG hero to a fighter. 8, so it should come as a surprise that the massive title would win co-game of the year honors with Capcom's Monster Hunter World at the Famitsu Awards in Japan where the series' longtime director would briefly talk about what's coming next. Masahiro Sakurai, the face of the Smash Bros. franchise and creator of Kirby, took to the stage to give an acceptance speech stating that he was trying to keep up with the biggest games coming out in the industry despite his busy schedule along with mentioning that Joker is coming to Smash soon. "Right now, we're working on downloadable content [for Super Smash Bros. Ultimate]," said Sakurai during his speech translated by EventHubs. "I'm sorry to be on Joker's release, but it's almost time now." The notoriously hard worker also won the MVP for his video game industry while his boy won "character of the year" for Kirby Kirby's Famitsu: Star Allies title also released last year. 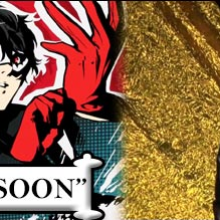 We've known for a while that Joker is scheduled for an April release as the game's 76th fighter, but neither Nintendo nor Atlus have come in as exact. date. We believe it will be around April 25 though to the upcoming Persona 5: The Royal and P5S announcements coming at that time. Despite previously stating that Nintendo was strictly in charge of making the decisions about which characters would become DLC, Sakurai reportedly directly approached Atlus about the collaboration because of his love for the series. You can find the clip of Sakurai speaking about Joker below thanks to Naruki as well as the full Famitsu awards show though everything is in Japanese.